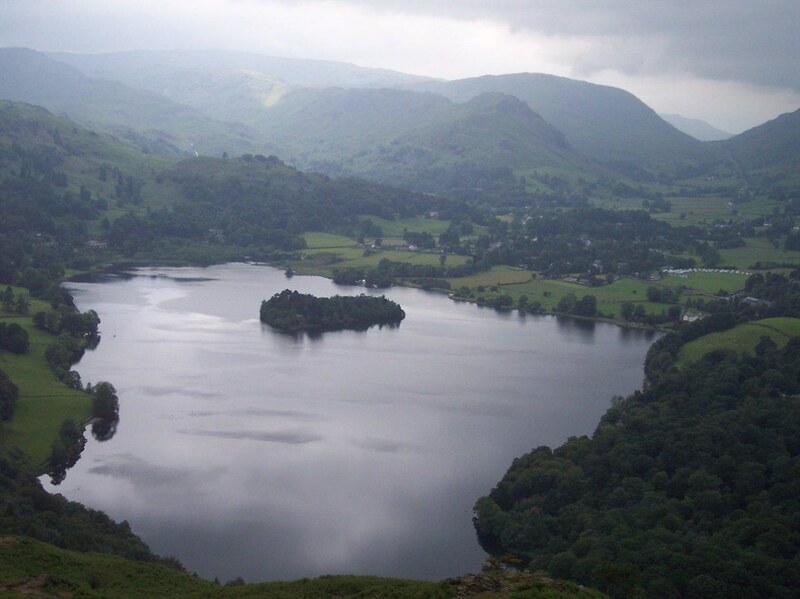 This was my first solo trip to the Lake District and little did I realise how significant it would be or how many subsequent trips would follow. It’s only in hindsight that these things come into perspective. The previous weekend I was sitting at home, my parents were around and I’d just had a really hard week at work, so much so that I was finding it difficult to relax and tiny things would irritate me enormously. And we were in the process of moving house, which of course reduced stress levels (not). It got so bad that my wife actually ordered me to go to the Lake District, a trick I have since tried to rework many times without the same level of success. So this was a fairly last minute trip, pretty much booked on the Sunday before I went. This meant a straightforward plan was needed, so staying in one place (Ambleside) in one B&B for the whole trip was the way to go. 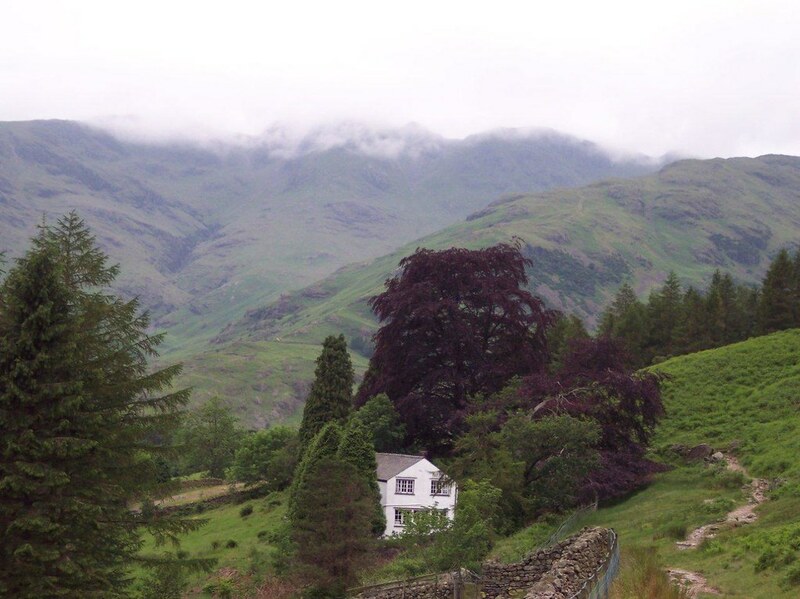 I booked Norwood House which was one of the few B&Bs in Ambleside with a single room at a reasonable price, and the only one with availability. The train tickets to Windermere were in my mitts the following day and so I still had a few days to plan some walks. Still a novice in the Lake District, Ambleside was ideal for an exploration because of the extensive network of bus routes radiating out, but even so I wasn’t going to stray that far. I left for Cumbria without any fixed walk plans, other than a plan for the Saturday afternoon – the day I was travelling up. The other good thing about this B&B was that they were quite happy for an early check-in, and so I was there by late lunchtime and checking-in just after 2pm. My initial impressions of Norwood House, measured against the yardstick of Stalag Hedgehog from last October, were favourable. My single room, described as en-suite, had a toilet in a cupboard and a sink in the room, with a separate private shower room down the corridor. But is was fine for my needs. Keith, the proprietor, was friendly and we had a good discussion about possible walks. I unpacked quickly, got the boots on and headed out to make the most of what was left of the day. 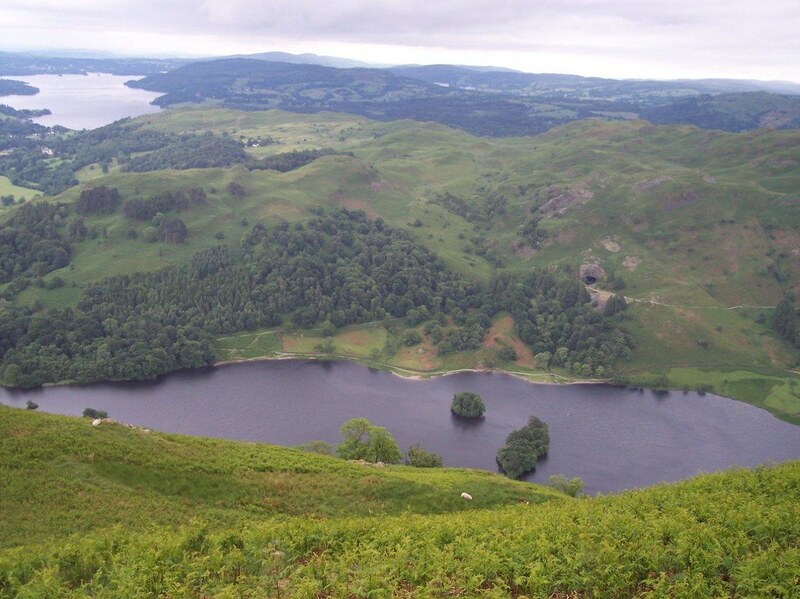 I crossed Rothay Park, Miller Bridge and walked a short distance along the road until I found the bridleway that would take me up onto Loughrigg Fell following fields and fences until I arrived on open fell at about 550 feet. The path rose and dipped several times, led me through some squelchy patches and then gave me a view down to Elterwater below and to the left. I continued undulating my way gradually upwards and after an hour arrived at the summit. I stood there for a few minutes to take in the views over Grasmere and Rydal Water, and the teasing glimpses into Langdale. I continued on down the path to Loughrigg Terrace and then walked around the fell overlooking Grasmere, arriving eventually at Rydal Cave, which obviously needed a closer inspection. Then back down to the road and into Ambleside. This was just meant to be a leg stretch before a full day of more challenging walking tomorrow, and it did the job just fine. 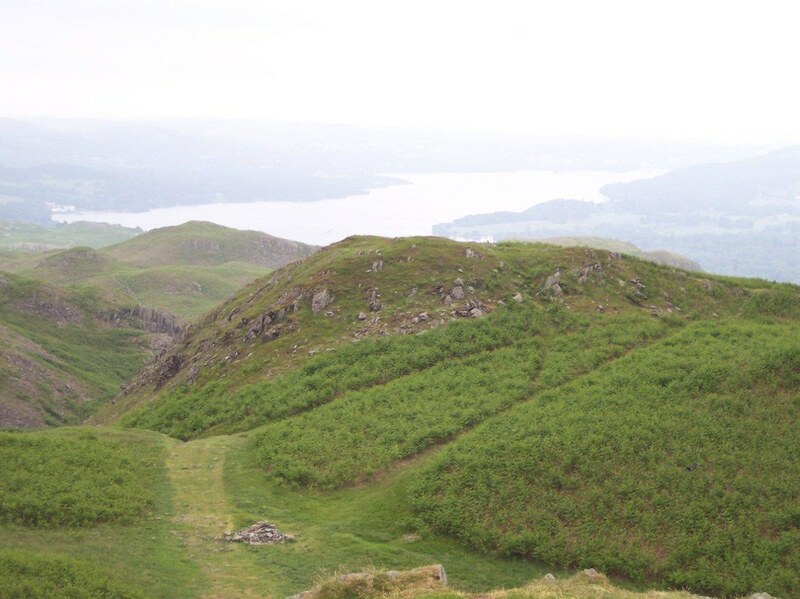 I was up early and raring to go, making the final route decision during breakfast – the Fairfield Horseshoe. 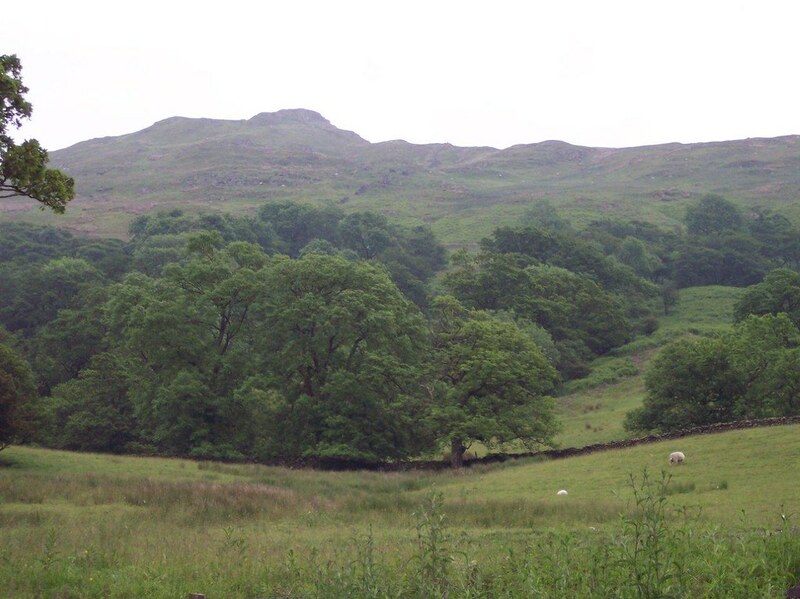 I set off along the road heading north out of Ambleside, then took the path by Scandale Beck through Rydal Park and Rydal Hall to put me at the foot of Nab Scar and the start of the horseshoe. I puffed my way up the initial steepness, stopping frequently once above the treeline to look at the views towards Loughrigg and beyond. I continued up to the cairn and then further up to Heron Pike’s summit after a couple of hours of walking in total. Some grassier terrain under foot was welcome as the path rose more gently up over High Rigg and onto Fairfield itself. I climbed up into the cloud and the cold and walked carefully over the stony ground to find a vacant spot out of the wind for my lunch. Around me figures appeared and disappeared in the mist. Soon it was time to get going and heeding the advice from Keith about navigating on Fairfield in mist, the compass was out straight away. Even so I found myself skirting the northern edge of the plateau before I came upon the path to Hart Crag. A few hundred yards more before I was sure I was on the correct path, and the slight loss in height also enough to thin the mist out a bit, and then I arrived at Hart Crag. Although there wasn’t much to see apart from the top of the fell, which almost caused me to head towards Hartsop Above How rather than Dove Crag. But I realised before I’d gone very far and continued, picking up the fence as I climbed up onto Dove Crag and another non-view. I descended from the summit, forking right to take me down over High Pike rather than towards Scandale Pass. Underfoot, rocks gave way to softer grass and it was all quite pleasant, if a bit grey. Down below the cloud at last, I negotiated the rocky outcrops on the gradually descending path, had a slide on a patch of wet grass and generally made my way down. I sat up last night trying to decide which of two possible Langdale walks to do, and I needn’t have bothered as the decision was ultimately made for me. I got to the bus stop and found I’d just missed a bus by a few minutes and had a 50 minute wait for the next one. And with a deadline of 4:30 for the last bus home, this wasn’t going to leave enough time for a walk over the southern part of Langdale – Lingmoor Fell, Pike o’Blisco and Crinkle Crags. So I decided to do the other side of the valley, and focus on the Langdale Pikes. The cloud was hovering over the Crinkles, shielding their mystery from me, and in a sense this made my choice of walk feel good – I’d spent yesterday in cloud, so it would be nice not to today. 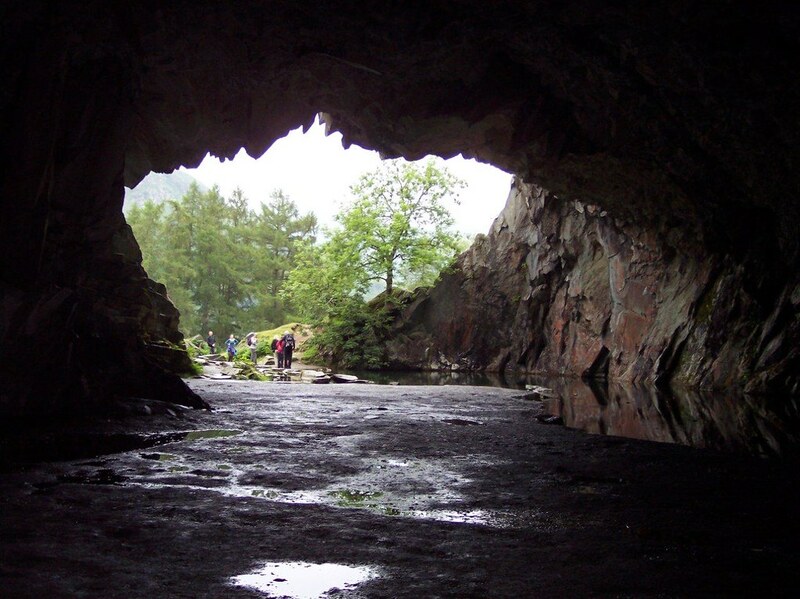 I alighted from the bus at Old Dungeon Ghyll and followed the path behind the pub along to the New Dungeon Ghyll. I climbed up to Dungeon Ghyll itself, spent a few moments looking at the cascade of water and then continued up the path. After a steep climb, the ground flattened out a bit and I stopped to look behind me to the views the other side of the valley. Loft Crag and Thorn Crag came into view and whilst obviously what I could see was a false summit, it was encouraging progress as I was still feeling a bit tired from the previous day’s walk. My pace improved and I headed between the rock outcrops and climbed up onto Loft Crag itself for a good look around. 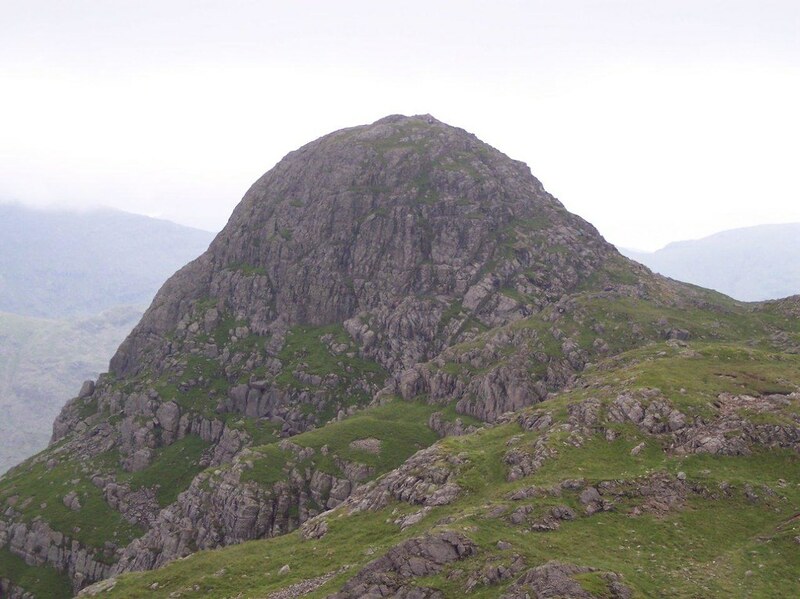 I looked across at Pike of Stickle and just stood there gaping for several minutes. It looked great and I couldn’t wait to be up there. I crossed over and began the easy scramble to the top, dodging out of the way of a hoard of people descending, leaving me with the summit to myself. Well apart from the cloud of mozzies that surrounded me while I ate my lunch and gawped over at Bowfell and Langdale. Pike of Stickle instantly became my favourite fell. It couldn’t last though, and descent had to happen. 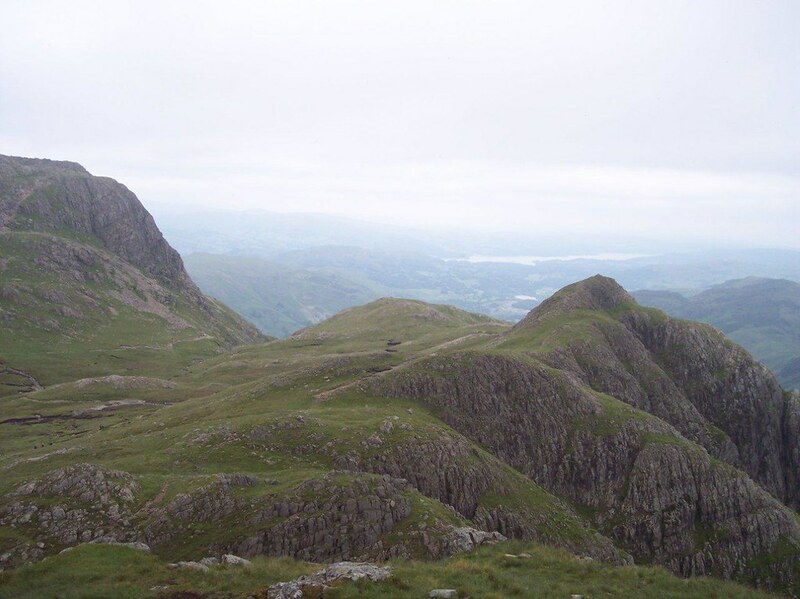 I reached the bottom and a surge of energy/motivation saw me to the top of Harrison Stickle and, shortly after, Pavey Ark. With 4 under my belt and the bit between my teeth, I looked north to High Raise and, before it, Thunacar Knott. I steamed across the soft ground to Thunacar Knott and didn’t want the bagging to stop. I got greedy and now sowed the seeds of a problem – I decided to go for an extra fell. But to be safe, I set myself a deadline – a turn back time – so as to make sure I didn’t miss the bus. I arrived at the summit of High Raise exactly on my deadline and decided to pick off Sergeant Man on the way back, only really adding 5 minutes to my walk. 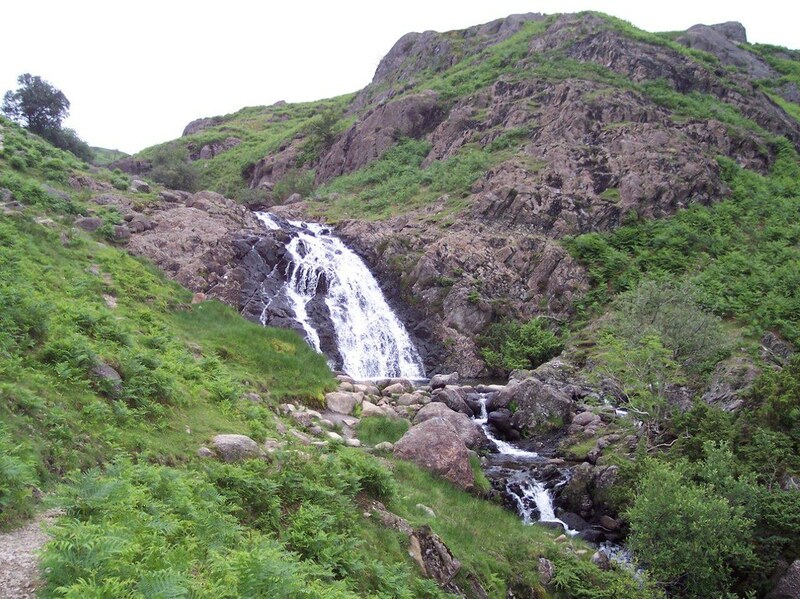 Now all I had to do was head down to Stickle Tarn and then follow the gill down to New Dungeon Ghyll for the bus home. I headed down from Sergeant Man at pace following a faint track east. I dodged left around an outcrop, picked up the faint trace of path again and continued. All I had to do was carry on this way until the path dropped off the side of Blea Rigg and down to the tarn. I’d read that Blea Rigg is a bit bumpy and so wasn’t surprised that the way was like that. But the path was poorer than I expected. I rounded an outcrop and looked down over the edge of the fell at the tarn below and to my right, glistening and beckoning me down to say hello. After what seemed like a long day, I was tired and knew that once I was at the tarn, all I had to do was follow the path down to New Dungeon Ghyll and the bus back to Ambleside. I started descending a steep slope, my way becoming increasingly impeded by bracken, rocks and sheep as I progressed. It didn’t look that steep on the map. I persevered and after a rather traumatic descent reached the bottom, found a rock at the side of the tarn, and rested a moment while I took stock of my situation. I’d already missed the last bus, so I was now looking at a taxi back to Ambleside. I sat at the edge of the tarn and gradually I calmed down as I saw the ridge reflected in the tarn’s still waters, even in these cloudy conditions. I felt the calming influence of the gently lapping water at my feet as I ate a cereal bar and studied the map. Once the tarn had done its work and enabled me to look at the map calmly and rationally, I worked out what had happened, and had the sort of moment that the old, now banned obviously, Hamlet adverts were designed for. 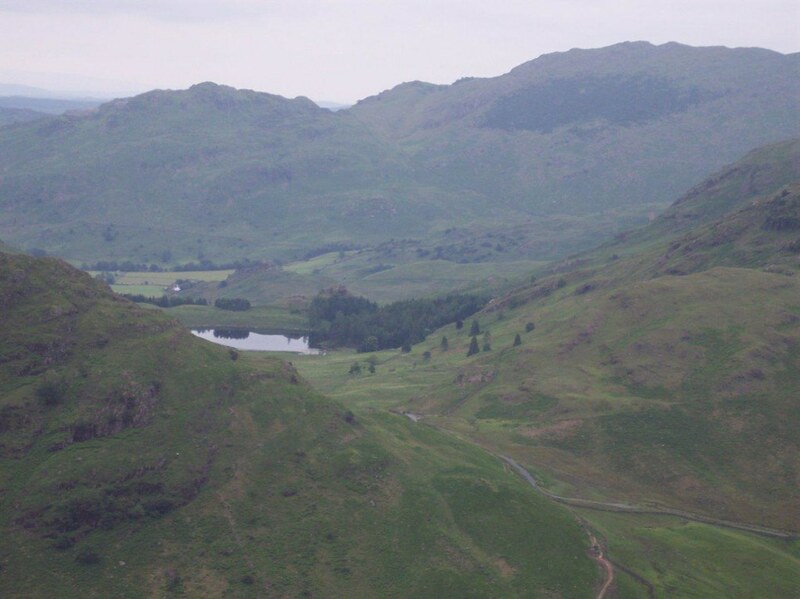 I was at Easedale Tarn, not Stickle Tarn and had just fought my way down off Tarn Crag. God knows how I’d gone so badly wrong. 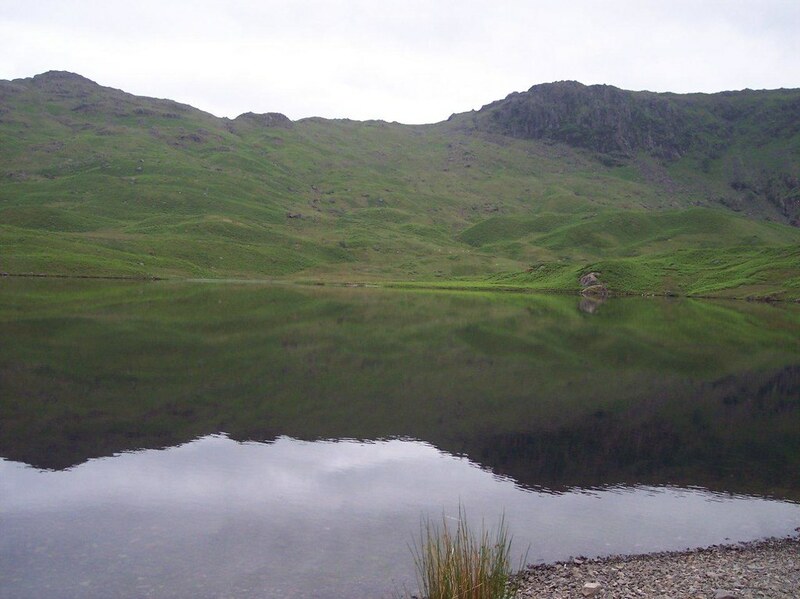 I lingered there for quite a while in the end looking at the reflection of Blea Rigg in the tarn – after all the last bus had already gone and I was in the wrong valley anyway – and it was an effort to get going again. I made my way carefully down the Sour Milk Gill path and limped my way into Grasmere, my reserves of energy now completely dissipated. I arrived at the bus shelter and it gradually dawned on me how lucky I had actually been. Grasmere is bus central and by taking the wrong turning I’d saved myself a taxi fare, as I’d already started my descent too late to catch the bus out of Langdale even if I hadn’t gone wrong. This was the happiest £2.55 I’ve ever spent, I reckon. After the worry I’d caused myself yesterday, I found I couldn’t sleep and so got up just before sunrise. I made my way out of the B&B quietly and walked through the village. There was no one around. A couple of hours to pick off a nearby fell seemed like a good idea. 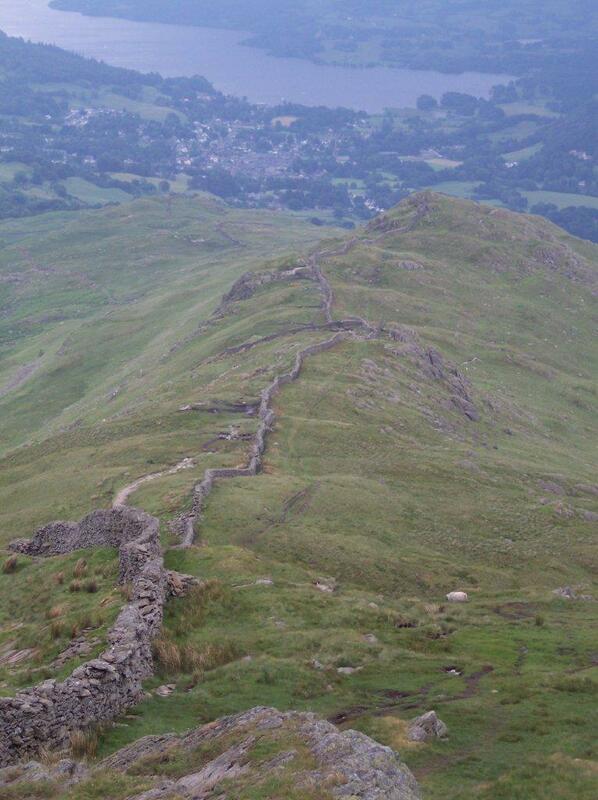 I walked up the road towards the Kirkstone Pass, climbed a stile on the right and headed for Wansfell. A steep an unrelenting climb it seemed at that time in the morning. I got to the top and looked around, but didn’t have much time if I wanted to be back for breakfast. I headed down, was showered and ready for breakfast in time. It was only later I realised that what I’d bagged was Wansfell Pike, not the actual summit of the fell. Having never done hill walks for 3 days running, I felt like taking it bit easier today. And after all, I had already done a walk, hadn’t I ? So I spent the morning in a stroll down to the lake, some browsing in the shops and then had lunch in the White Lion. Back in the B&B I dozed for an hour or so, watched a film and planned a final quick walk on the off-chance that I woke early again the next morning. Yes, I did wake early, but 1:30am was a bit too early to start walking. I made myself stay in bed for a bit longer, giving up at 4am and then it took ages to get ready without making any noise. Once again I headed for the Kirkstone Pass road – but this time I was focussed on the other side of the road from yesterday. Light rain fell from the sky and I wasted 10 minutes of my tight pre-breakfast walk schedule in the most inefficient donning of waterproofs ever seen. Remembering Wainwright, I was looking for a gate between two oaks and finding one I followed the footpath on the other side. It felt a little sooner than I’d expected, but I decided not to question the wisdom of AW. I wish I had done though, as this was not the path up the ridgeline onto Red Screes, but the path to Scandale Pass, without obvious cut-throughs to recover the situation. 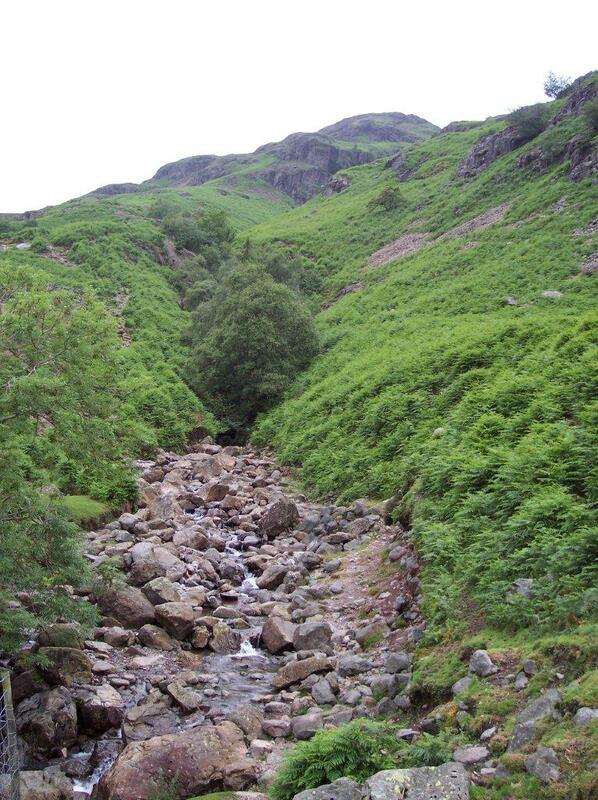 I abandoned Red Screes as my walk objective, unless I had time in hand when I got to the pass. The path was relatively easy going and rose gently, as did my levels of hope. I arrived at the pass at 6:20am, two hours after setting out, and I knew I needed to allow about 90 minutes to get back. So I didn’t really have time to ascend further. I gave up and headed back down Scandale, arriving in time for a shower and breakfast. And that was the trip done, as Wednesday was travel home day. I went on this trip aware of the Wainwrights, but not yet decided to do them all. 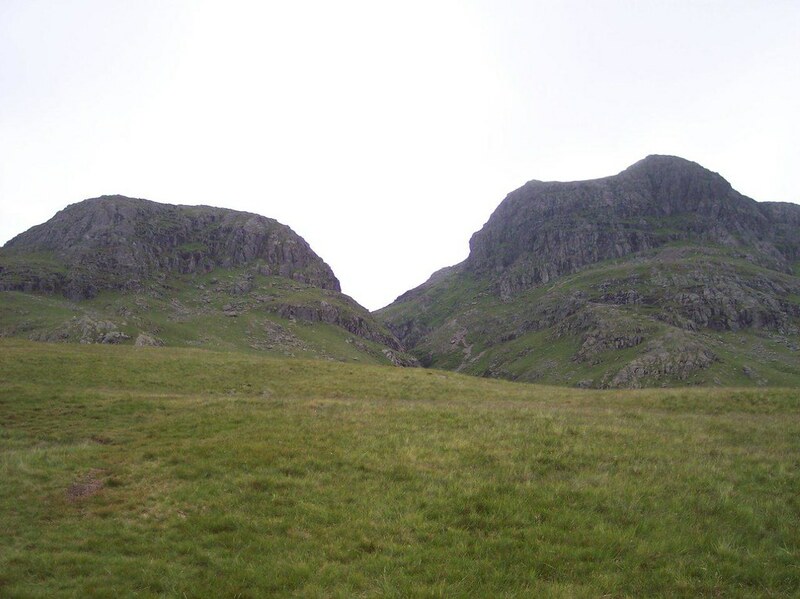 Somewhere on the Langdale Pikes, however, I did decide to do them all. I returned from the trip with 16 in the bag, and taking my total up to 25. 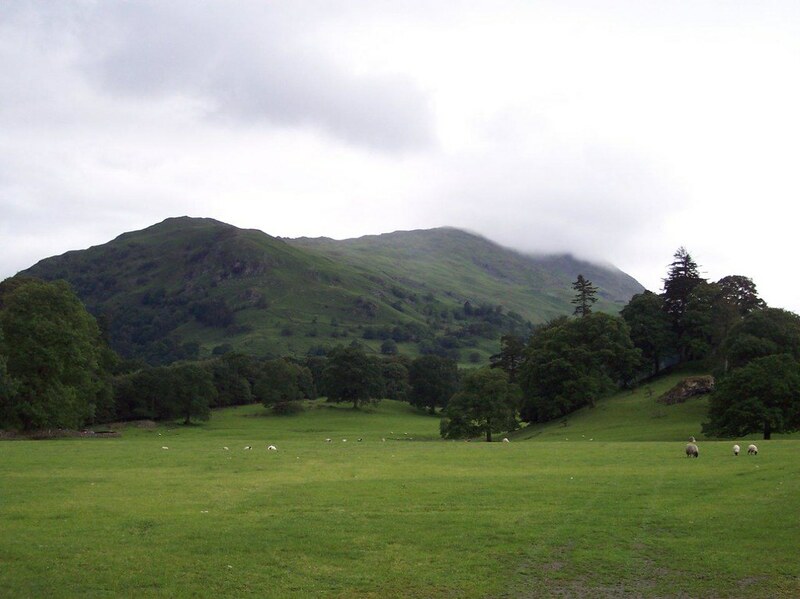 I’d not had a great time navigationally though – I’d screwed it up massively on Sergeant Man, and if I’d been so cavalier on Fairfield could have got into real trouble. And to cap it all I’d climbed a fell, and not made it to the actual top through not having researched it properly. And my last walk also showed the danger of navigating just using Wainwright, rather than a proper map and an awareness of altitude. But the trip brought two outstanding moments, both on the same day. My lunch stop on Pike of Stickle itself made the trip worthwhile, and the days of scratching midge bites afterwards. And then at the end of the day, that quiet calm down beside Easedale Tarn, where I could have stayed a lot longer if I hadn’t needed to get down to the safety of Grasmere. Both definitely need revisiting.